Missing Stitches - or was that Missing Years? After some years' involvement in other crafts, I revisited my 'basic instincts' - knitting and crochet. At first, SO enthralled with the variety of yarns, amazing textures and dazzling colour range, my nimble fingers and needles were so eager to get started, they could barely function at all. I felt like a modern day 'Rip Van Winkle'...could I possibly have slept for 100 years? (unlikely with my insomniac inclinations). They ALL had totally delicious names, like - 'Aspire' and 'Breeze'; 'Cabaret' and 'Excel'; 'Feathers' and 'Funky Chunky'; 'Lashes' and 'Moonlight'; 'Ostrich' and 'Salsa'. (So exciting, enticing, irresistible!) To think that once, names were restricted to the manufacturer's name and the ply (or thickness) - how incredibly boring in this brave new world I found myself inhabiting! Where had I been? I know I daydream a lot - but REALLY!! 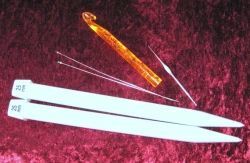 Added to the dazzling array of yarns, were knitting needles and crochet hooks in sizes never dreamed of in past ages - as in HUGE. An unforgettable comment about such LARGE needles was made by a boy, passing our car at a country football match (to the uninitiated, you park your cars right around the oval , in two or three layers if necessary, and toot the horns often - large blasts can signal disapproval of the current umpiring decision....or alternatively joy at a goal...or even a behind on some occasions!) Sorry...back to the story....there I was knitting with 25mm needles, and this kid passes by my passenger window....then backtracks and says, "What's that you're knitting with lady? ....Crowbars??" ...and my finest? Do you believe my bead-knitting needles are 1.25mm? If you are unfamiliar with this size, just picture a thick darning needle! Yes...truly, THAT is the size. Can you imagine,what a dedicated 'craftperson' it takes to track down the finest needles known to man in this technological age - believe me - it's a challenge! I, on the other hand, am a total cheat.....I inherited my finest crochet needles ( 1mm - that can pass through the eye of a bead!) from one of the best mother-in-laws anyone could be blessed with. She used this tiny antique for crocheting the finest and laciest doyleys and drink coasters you can imagine. I am not nearly so talented in this area - but this crochet hook is invaluable to me for weaving in ends, and being so fine, I can actually hook into most beads, for my beloved bead knitting. And here's another 'believe it or not' - my largest crochet hook is 15mm! (Touch the tips of your thumb and index finger together. This size needle would not fit in the space. Another challenge that produces fascinating effects - but not one I've been totally comfortable with. I can do it...and have, but not comfortably, to be honest. So that is basically the LARGE and small of it all. As I say - Challenging! Initially, I produced a couple of crocheted 'granny square' rugs (before I was even a Mum). I still possess my first enterprise - and even now, am not embarrassed or ashamed when I look at it with my most critical 'specs'. Quite the opposite - I feel the warmest glow revisiting the memory of its making, following in the footsteps of my late beloved Mother, and her beautiful examples of this craft. 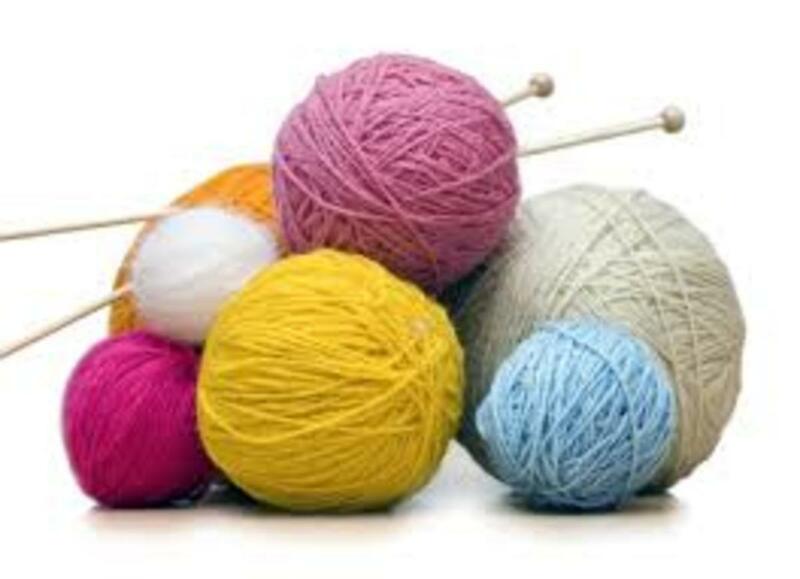 Actually, in mentioning my dearest Mum, I always thought we made a formidable crocheting 'team' - she could not read patterns, but could work out most crocheting by careful examination of an item, then some patient trial and error - and voila! - reproduce the pattern. Actually - looking critically at the photo, I reckon the 'old girl'scrubs up pretty well, after countless washings over her 40+ year career in cuddling and otherwise warming hearts and souls, at the same time as countless bodies! Knitting and crocheting wherever I was - in front of the TV, home and away, always whilst 'passengering' in the car - and in the wee small sleepless hours - the best time of all to work out complex patterns or just 'run' - mentally and emotionally - with creative urges. 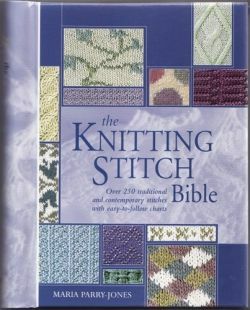 It has been suggested to me that I should use the Amazon module for 'spotlighting' the following stitchery books - and I can see the value in this. However, just this time, I like the idea that a 'dedicated crafter' would be willing to go searching, maybe have to wait some, and then finally, be able to get hold of a copy - just like I did! I'm sure there are good reasons for many things to be made easier and faster for inhabitants of this busy world of ours - BUT, I'm old-fashioned enough to hope that there remain some things that increase in their intrinsic value to the individual if a little duress is experienced. This is something for each individual to decide. 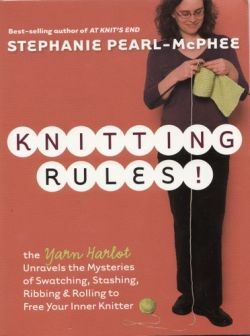 In case anyone reading this has the same 'need to know' about patterns old and new - and wants to revisit these, I totally recommend the following book (and the name says it all). Here are the answers to questions you did not know how to ask! 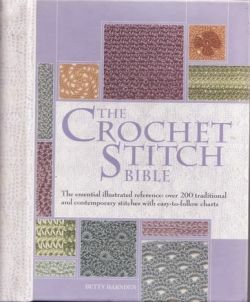 Could you believe my joy, (as a compulsive crochet crank) to find there was ALSO a 'Bible' for crocheting? Anyone who can name an earlier book 'At Knit's End' just has to have the ability to restore your sense of humour. The worst of tangles can be unravelled with a much improved equilibrium after a brief respite - losing oneself - in the wonderful attitudes towards 'freeing your inner knitter', as the front cover promises. 'Knitting Rules!' by Stephanie Pearl-McPhee ISBN-10 1-58017-834-0! Of course no Aussie Rules footy fan 'worth their salt' who also happened to be a craftsperson, would be seen dead in machine-made, mass-produced supporter gear....check out part of my beloved 'Adelaide Crows' collection! (The rug, by the way, is a double knee rug, for the comfort of we two spectators, sitting close together in the usually freezing climate of wintry footy matches). There are also 'Crows' cushions for those cold, hard seats, and car streamers and car steering wheel cover, and an exceptionally long plait that was tied over the bonnet of our car for some weeks after the glory years in the late '90's when 'we' were premiers, for two years, back to back. Those WERE the days!! 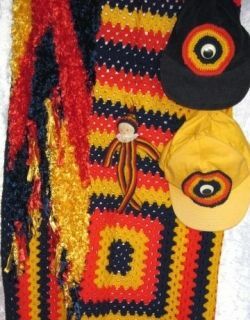 One story about these colourful and beloved creations concerns my first Adelaide Crows scarf - being knitted whilst touring in another State of Australia and listening on the car radio to a crucial semi-final. So excited, (and knitting faster and faster) - one of my broad stripes became four times the size it should be! But we won! - and all the unpicking was nothing compared to the triumph. This original was finally tied to the signpost out the front of our farm for several 'footy' seasons, after being replaced by the glorious one in the photo. It attracted many horn blasts (especially loud from semi-trailers) - whether in support or contempt I'll never know....or care! Slowly but surely, my personal blueprint for my handknits has been evolving from my desire to be different, original, unique. I rapidly learnt that competition with cheap, mass-produced knitwear would be impossible, and made my decision to design and create 'one-off' handcrafted items that any discerning person who desired individuality could appreciate and welcome. This is not an easy path, when there are constant 'seemingly' similar but cheaper items available, appealing to a majority of the public in these trying financial times, however mine is the only alternative I can pursue and stay true to my personal creed - whatever the outcome. As the years have ticked along, with 'rich and famous' always somewhere just out of sight over the horizon I have accepted my limited level of marketing ability - and choose to revel in the 'gift' of my creativity and skills. I have often wished I was 10 years younger - not for the regular reasons - but just when I think about SO many patterns, SO many ideas, SO many books I haven't yet visited, SO much music I haven't yet been enchanted by - and wonder how many of all of these are left for these eyes and ears, these hands and this brain to embrace. BUT - I am really thinking that it's SO good to be at this moment in my life - I wouldn't want to be without a single experience so far, even the most trying and difficult. Every single development has shaped the person I am today. For better or worse, I feel comfortable in my own skin (to borrow from today's terminology). And a large part of my joy and personal satisfaction comes from seeing some of my 'treasures' become presents to loved ones, and others donations to causes that 'move' me......always with the added hope that sometime, somewhere, my 'crafty creations' will find loving homes to match the love and thought that went into their making. It was sometime ago, as you can see - but I still feel as proud of it as I did on the first day this baby came into my world. I will bow to the world of the Amazon and acknowledge they know a thing or two about stitchery, also! Here's the B, C, K of handcrafts I am most proficient in. Was That an Angel Passing by? And was that a Sprinkle of Stardust I felt? Your autumn scarf is beautifully coloured! My mum has no home-made footy gear, perhaps I should start making some for her! A delightful read on your crafting journey. I love the short blue overall shawl. Best wishes. There's been a few years, that I became interested in crocheting. I bought a couple of good books on the craft, but never got started. Now I quit smoking - just a couple of weeks ago, and it's going very well, thank you, but I really have to do something with my hands (when I'm not writing or doing housework, of course). So, I guess it's time to learn at last! I loved reading about your craft story. I have one too. It started in 2003 and I hardly crafted at all before that. Though, I did try my hands at knitting and crochet when I was in my early twenties. Still have the pieces too. What a wonderful lens. 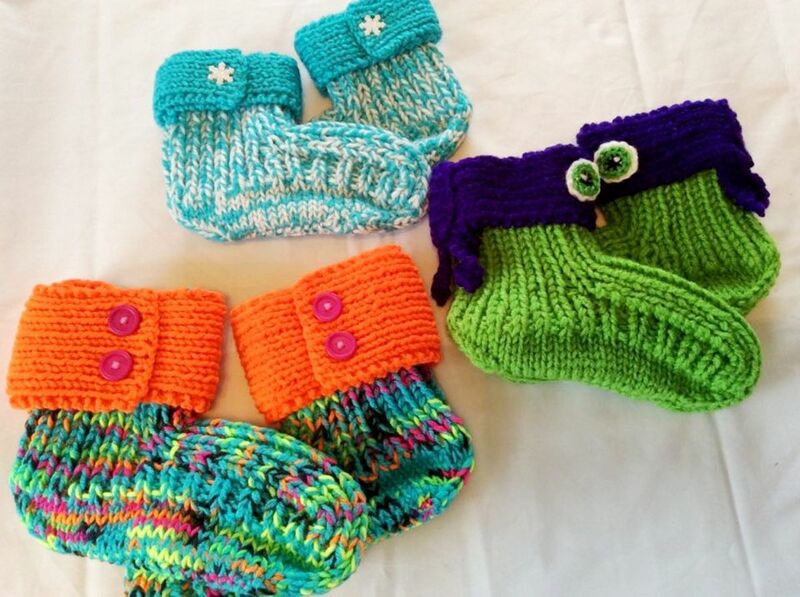 Your love for knitting and crochet shines through and your designs are beautiful and unique. I will look forward to reading more from you. This lens won 2nd place in Fresh Squid Contest for June 2010! Congratulations! @callinsky lm: Oh wow! I didn't know what you meant - had no idea - and I'm so excited - what a fantastic end to a very ordinary week. @Mihaela Vrban: It's always a joy to write about my 'treasures' - and to give others pleasure too, is tops! There are crocheters in my family -- no knitters, though. Very well-written account of the crafting journey. Congratulations. Lovely lens. You are very passionate about your hobby and that shines through. Congrat on placing in the Fresh Squid Contest. @Wednesday-Elf: And delightful to meet you, too, 'Elfie'. Thank you for the lensroll - tell me how to do yours and I would love to reciprocate. Such kind comments - thank you. Sorry, can't think how to make its URL smaller - that's a 'dinosaur' for you!! So delightful to meet another Squidoo Crochet Crafter! 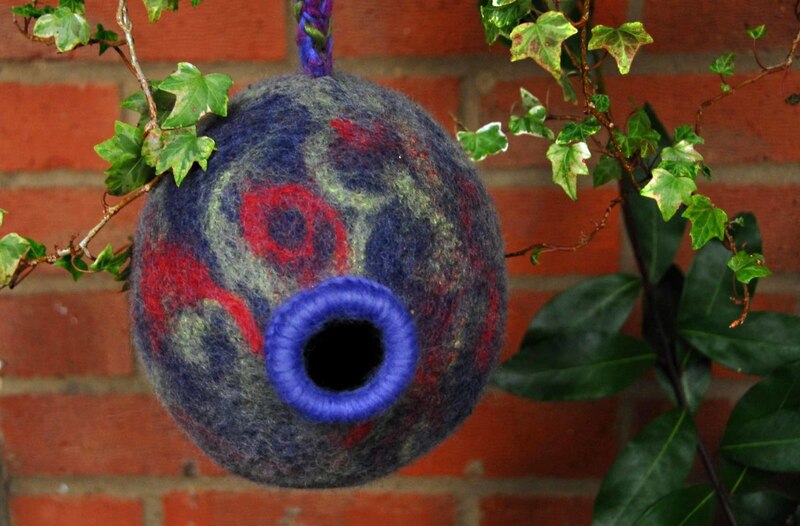 Loved your Crafty Journey -- I've been writing Squidoo lenses about MY crochet 'Journey' too -- after all, got to talk about what we know best, don't we? I'm a self-taught crochet crafter too (being left-handed, no one could figure out how to teach me, so I taught myself). Your "footie fan" rug is outstanding! And your Christine-Craftee-Creations site is very nice. So glad I found your 'crafty' page -- am lensrolling it to my "Let Me Spin You a Yarn", about my journey. 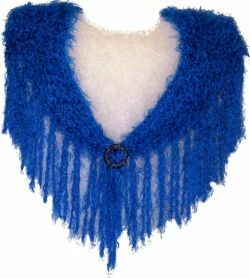 Very nice - would love to get my hands on that blue shawl, how pretty! @KarenTBTEN: Thanks for your kind comments Karen. Knowing what joy and relaxation crocheting provides, I am always sorry for anyone who doesn't know how to crochet. 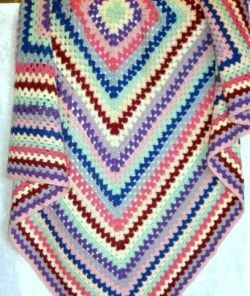 Such satisfaction in creating so much beauty with just yarn and a single needle! Hope you will 'give it a go' sometime....I promise, you will really be 'hooked'!! Such a well-written look at the crocheting life! There are crocheters in my family, but it's a skill I never picked up myself. I do remember some crocheted doll's clothing from a great-aunt.